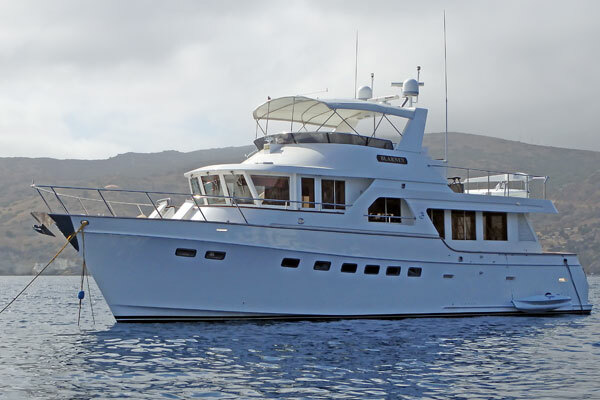 If you are in the market to buy a trawler, wouldn’t you want to take advantage of the guidance provided by one of the yachting industry’s top team of sales professionals working on your behalf to make sure you make the best decisions? The Trawler Advocate Buyer Support Program is a proprietary “buyers broker” package that Jeff Merrill has developed during his twenty year plus boat building career. Clients who engage JMYS are provided with confidential and discrete support with the objective being to understand trawler choices, compare various trawlers pros and cons and ultimately find and purchase the best trawler to suit your cruising goals. This program is available anyone who is considering the purchase of a new or used trawler. We will be personally involved to counsel you every step of the way to make this a fun and successful pursuit. You will have a detailed program custom tailored to guide and advise you through the trawler purchasing process. Understanding budgets and costs – purchasing, outfitting, annual expenses, etc. Access to a solid network of professional support including – inspectors, surveyors, legal counsel, financial lenders, insurance providers, documentation service, delivery captains, diesel engine/mechanical technicians, etc. Recommendations for cleaning products, spare parts, tools, etc. Dialing-In your trawler – tips and techniques to assist with maintenance and methodical inspections to insure everything is in good working order. Extensive check lists for start up, engine room inspections, leaving your boat, etc. Please call Jeff Merrill on his cell phone, +1 949.355.4950 or send an email to Jeff@JMYS.com to discuss in specific detail how you can sign up for this innovative service. The Trawler Advocate Buyer Support Program will provide you advantages as a trawler buyer that are unavailable anywhere else. This program is available to anyone who wishes to appoint JMYS as their Buyer’s Broker.